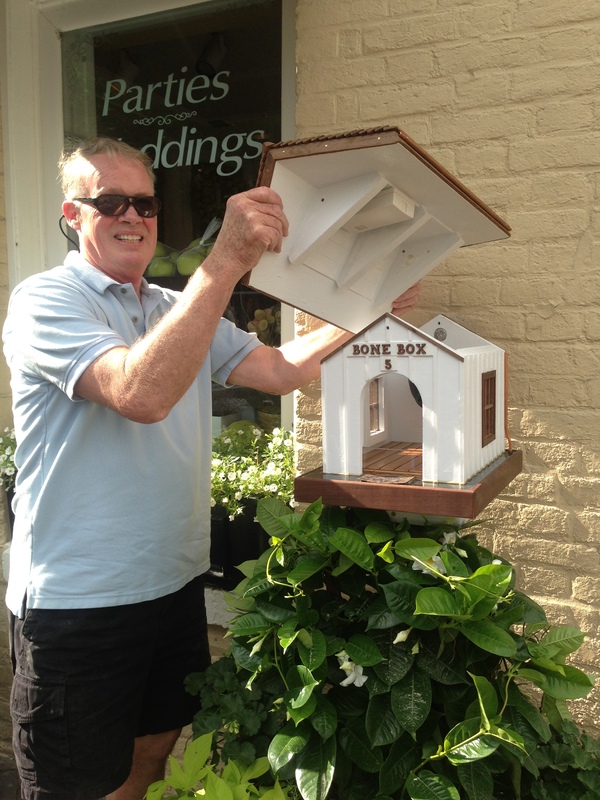 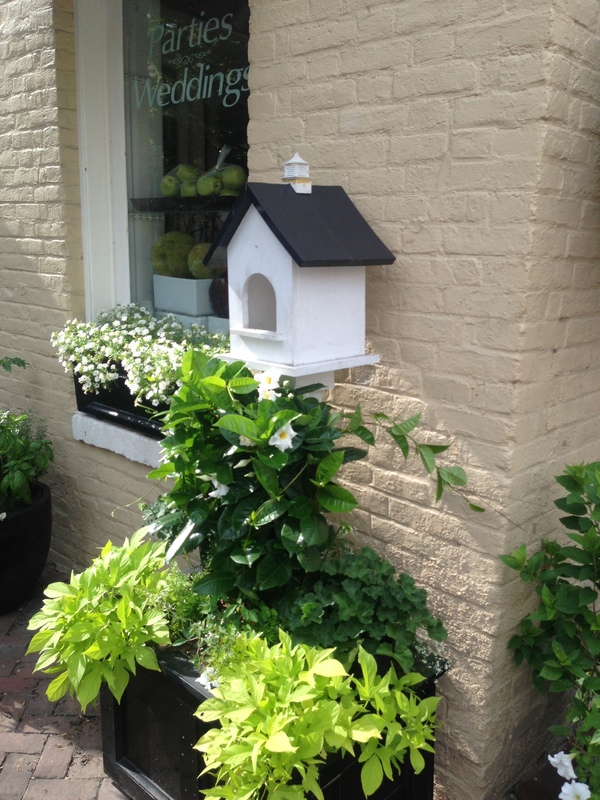 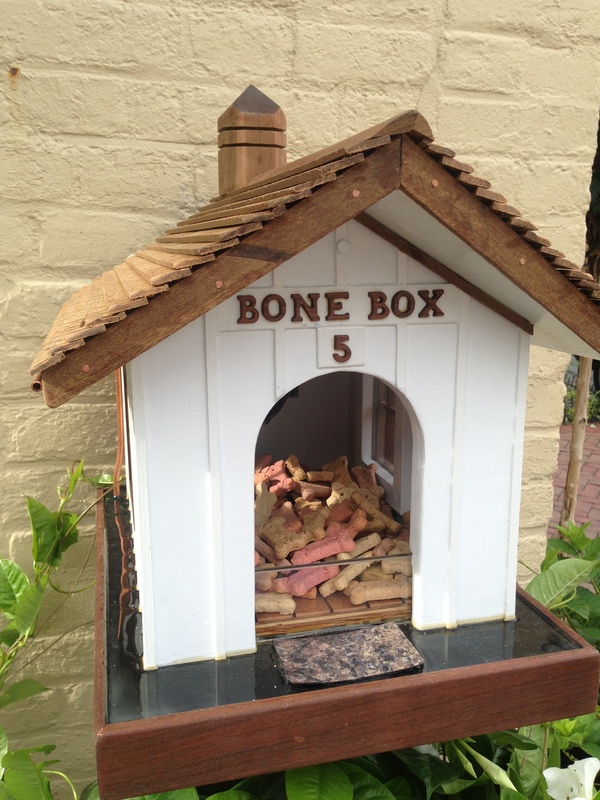 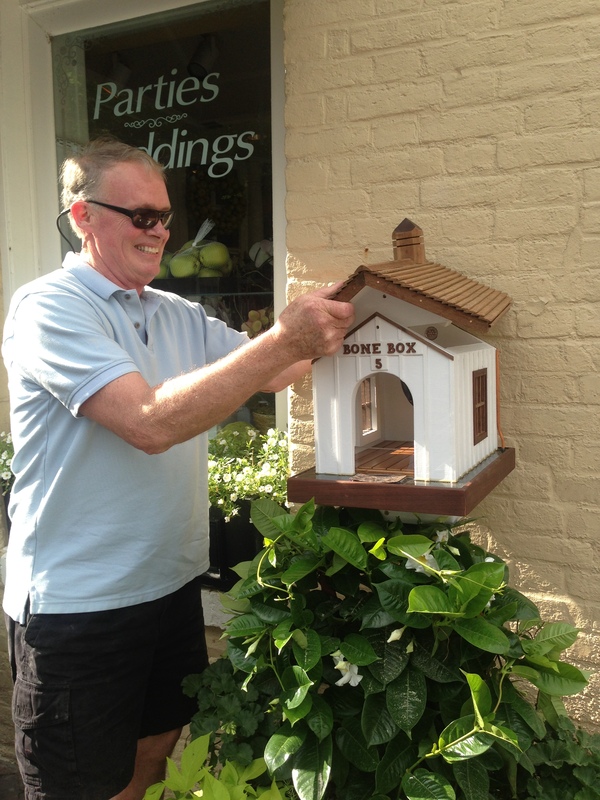 While I understand this may seem an odd subject for a flower shop blog – our “Bone Box” is a staple of the Old Town community and has for years been THE go-to stop for furry friends eager to gobble down their daily treats. 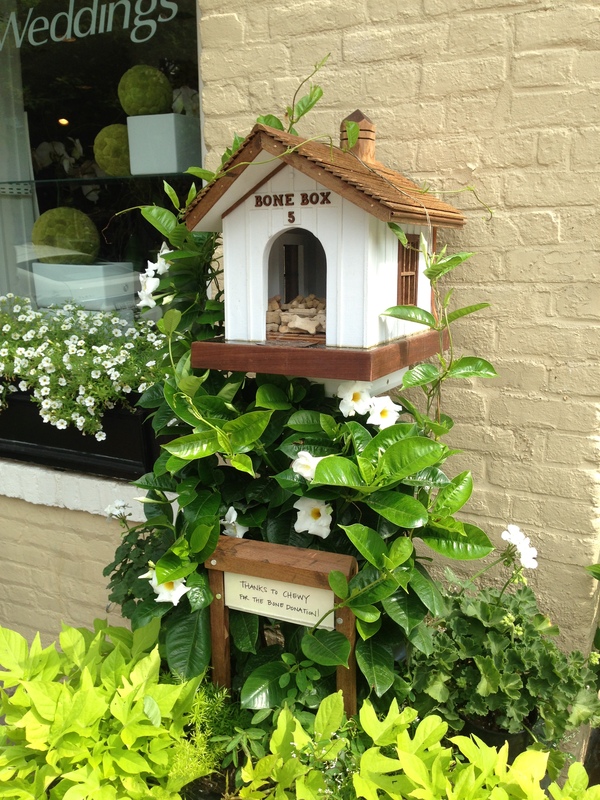 It is as much a part of our identity as flowers at this point – keeping the box full of treats is almost as important as stocking our cooler with flowers! 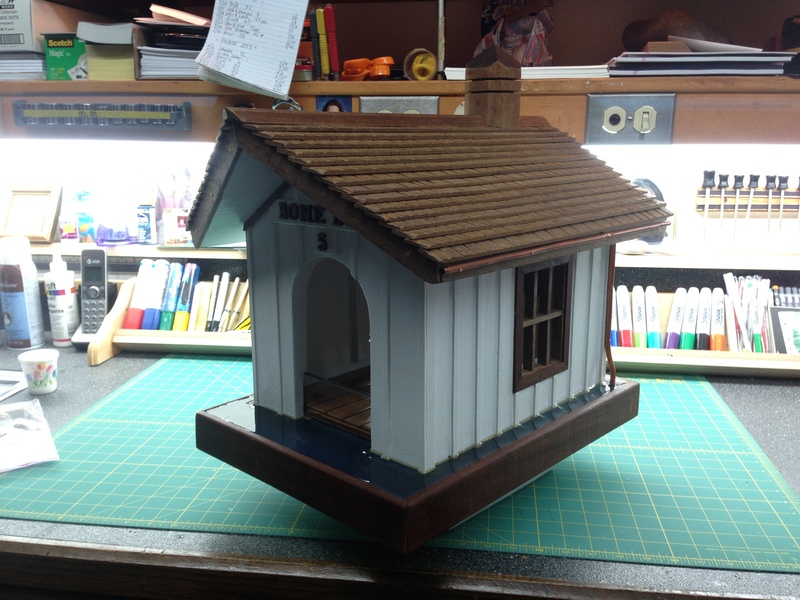 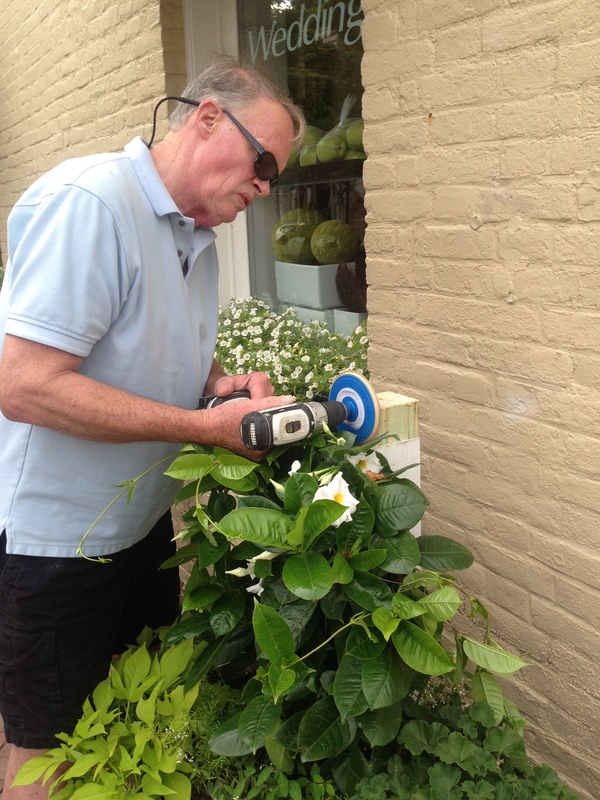 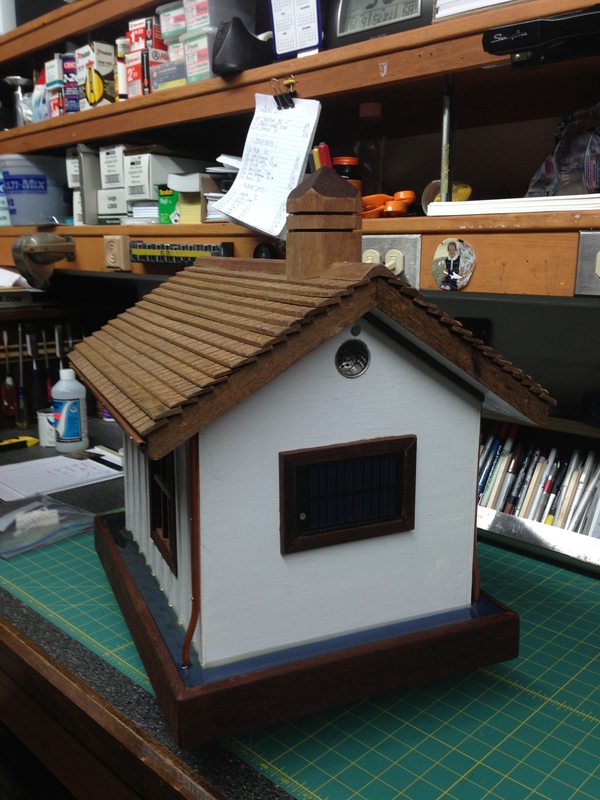 When the current model needed to be replaced this summer, Natalie’s Dad (a master craftsman) happily stepped up to the plate. 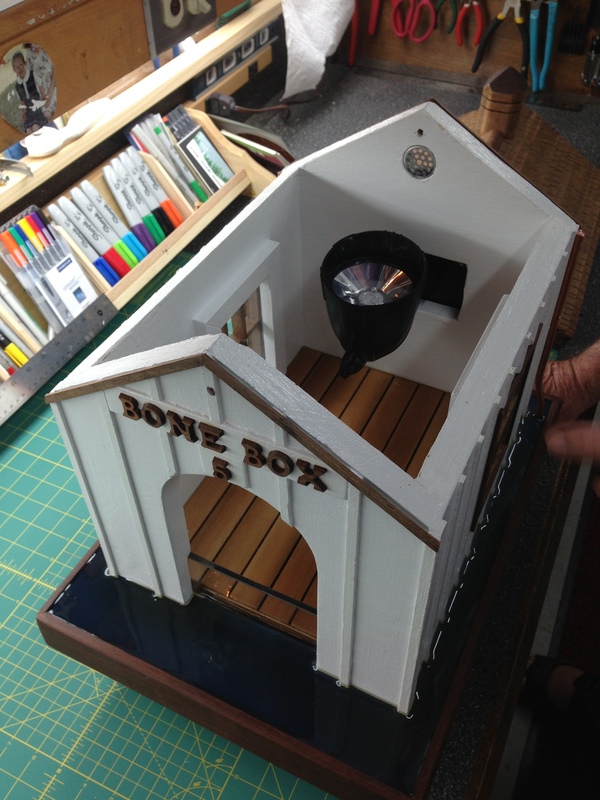 The new construction features many exciting and creative updates – high-gloss bamboo flooring, a hinged ipe roof, copper nails and downspouts, and most dramatic – a solar panel on the back to provide ambient light for the late-night dog walkers. 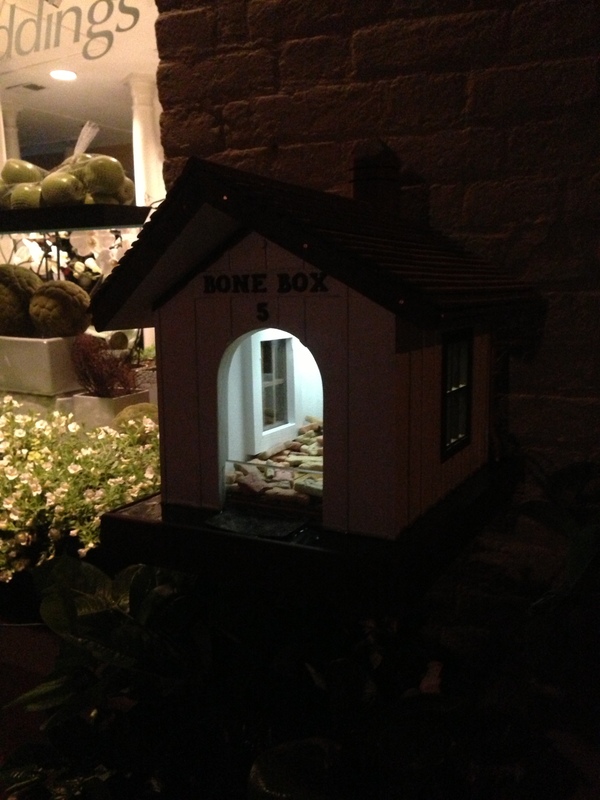 We are all set for many more seasons of spoiling our canine customers!